We aren't back in the 70's, but Troup County kids are expressing their inner groovy this week at TAP. For those who don't know, TAP is a week-long art program where kids ages 6-12 from different socioeconomic and religious backgrounds come together all in the name of art. 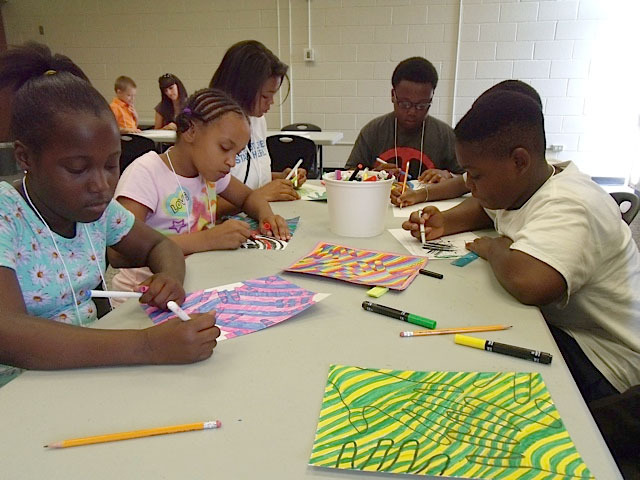 In LaGrange this week, the kids are exploring the theme "Groovy to Serve" by learning about different ways to serve their community and creating art inspired by service. At the end of the week, they will all work together to create one unified piece of art. Next week, TAP will be held in Columbus. Anyway, take a look at some of what's been going on so far in LaGrange this week. Doesn't it look groovy?